WHAT ARE THE ARENA OPENING TIMES? 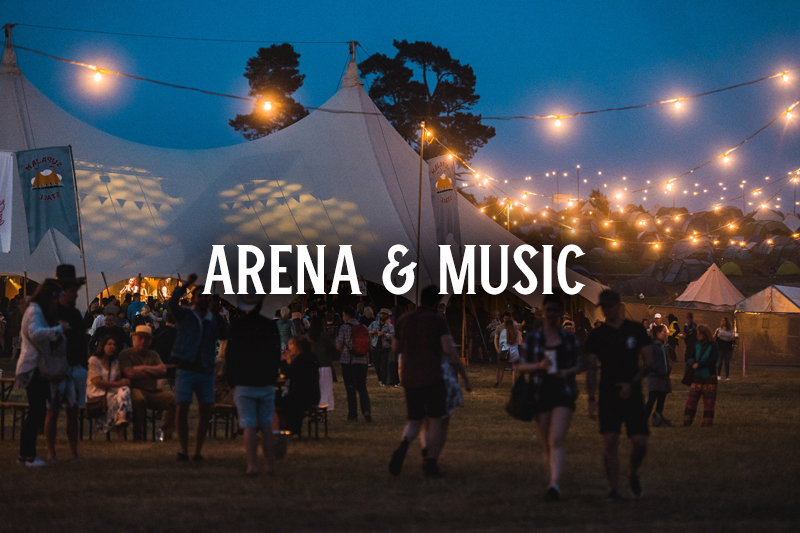 The Arena is open Friday 21st 12:00–02:00, Saturday 22nd 11:00-02:00, Sunday 23rd 11:00-00:00. Closed on Monday 24th. I AM INTERESTED IN PLAYING AT THE FESTIVAL, HOW DO I GO ABOUT APPLYING? WHEN AND WHERE CAN I FIND OUT STAGE/SET TIMES? Performance times won’t be confirmed until much closer to the festival. Further info will be updated on the website when available. All artists / performers and performance times are subject to change at any time. CAN I LEAVE AND RE-ENTER THE ARENA? There is no Re-Entry for day ticket holders. Only Camping & Weekend Non-Camping ticket holders are able to leave and Re-enter. We have lots of lovely food and drink stands at Black Deer to choose from across the arena and campsite. Food and drink including Alcohol cannot be brought into the arena. Empty Water bottles can be brought into the arena to fill up at the water refill points. If you have a medical or dietary condition that requires a specific diet, please speak to a member of security at the arena gate and ask to speak to a supervisor about your requirements. Unfortunately we do not have babysitting services. You must accompany your children at all times when at the festival. CAN I BRING CAMPING CHAIRS AND PICNIC BLANKETS INTO THE ARENA? Camping chairs are not permitted into the arena, however, picnic blankets are permitted. WILL STROBE LIGHTING, LASERS AND SMOKE MACHINES BE USED DURING PERFORMANCES? Yes some performances will use strobe lighting, lasers and smoke machines as part of their performance.